The girl trio Luv' was churning out hit after hit in 1979, at the height of their popularity. Not everything they did was highly inspired, but at least every single song they recorded was a happy, positive track. 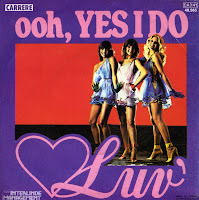 'Ooh, yes I do' was released in October 1979 and reached number 5 in the Dutch Top 40.